Country singer Jon Pardi, center, performs with his band the All Nighters at the Palomino Club last Saturday. America, America! ... Y'all sing with me!" Nashville's Jon Pardi yells from the Palomino Club stage Saturday night. With beers raised to the heavens, the country music-loving audience sings along to "America the Beautiful." Pardi wraps his vocal solo with a pointed "'Merica," as the crowd hoots and hollers. The band moves quickly into another pop-country favorite and a few couples start up their country swing dancing once more. Turn on the radio in the Inland Northwest and seemingly every other station plays pop country. The Spokane Arena already has Miranda Lambert and Jason Aldean concerts scheduled for next year. People want pop-country music, but that hasn't exactly equated to success in the local country music club scene. There are exceptions: Post Falls' Slab Inn has been around for decades, Spokane Valley's Roadhouse opened two years ago, and various Eagles Clubs (which house more traditional country dances) are still going strong. But in downtown Spokane, Big City Saloon is closed for remodeling and Sergio's Country Nights shuttered its doors in April after six years. Still, the Palomino Club opened in July in the old Center building. Just two weekends ago, Nashville North set up shop in Post Falls in what was once Big Al's (closed in March). Property owner Fred Lopez sits at the bar in the dimly lit Roadhouse. It's hours before the Halloween festivities begin, and he's gearing up for another packed night of patrons taking on the mechanical bull and packing the dance floor for live music. "Country has always been in this area, and it will always be here," Lopez says. Since opening in 2012, Lopez has listened to what his customers want. At first he thought the building would host country and rock, but soon it was all country. "People used to ask me, 'What about up north?'" Lopez says. So he opened the Palomino Club. With Nashville North newly open, he says that more country bars means more interest in the scene. "I think the reason I was successful here was because Big Al's was already there," Lopez admits. 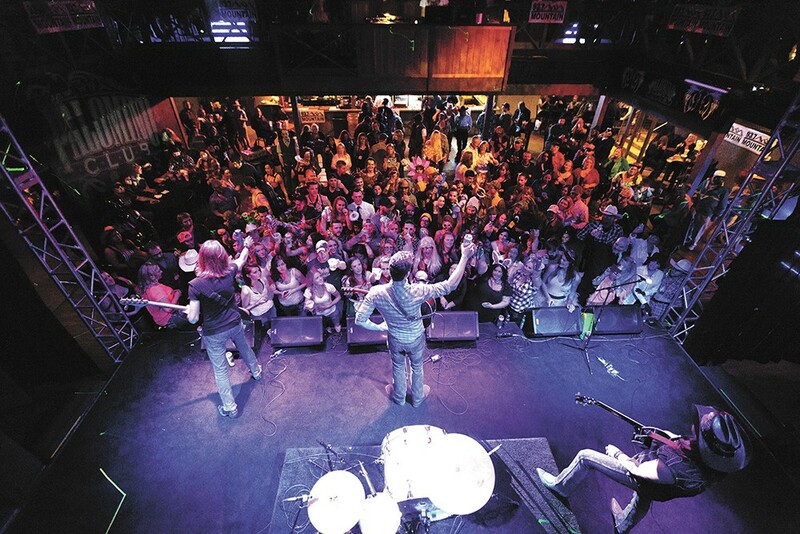 After it sat dormant for the better part of this year, country singer Jeremy McComb and businessman Bob Kreaman bought the Big Al's space and turned it into what they call a true Nashville honky-tonk. "I got my start at Kelly's [the name before Big Al's] when I was 16," McComb says from his tour bus in West Virginia. "The place has a special place in my heart." McComb, who left Post Falls in 2004 after landing a gig as Larry the Cable Guy's tour manager, was soon signed in Nashville. He's lived there 10 years, but wants his hometown to have a happening country bar like the one he grew up with. "It's not about pandering to the audience with the mechanical bull, but it's a real lifestyle," McComb says. "It's about taking the music to a different level." Every few months, McComb's band plans to come through the venue. He'll send other Nashville acts that way, too. In the meantime, the resident act will be the Luke Jaxon Band. Growing up in Spokane, country singer Luke Jaxon had trouble finding peers who liked country music. These days, people in their early 20s are coming to his shows. "I was always trying to convince people it wasn't just for hicks," Jaxon, 30, explains. "But now there's an uprising in the younger generation, especially with the genre-bending country." Even with a new generation listening to country, there were more clubs to play at just five years ago, he says: "I'd say in the last 10 years you're seeing less live music across all types of clubs; people want DJs." Around since 2010, his group is so popular they're booked about a year in advance. But Jaxon isn't satisfied simply playing the covers that dancers want in country music clubs. The band has originals, which they pepper throughout their set every night they play at Nashville North to keep things fresh. "Not everyone drives a truck; I can understand where country is not relatable," Jaxon says. "But the songs about love and relationships, that's where everyone can get it." Tonight at the Palomino, people are under Jon Pardi's spell. Michael Lyngstad, 28, spins a smiling brunette with an intricate hand exchange and twirl. The "real country" guy, complete with cowboy hat, says he comes out to country music clubs because he feels comfortable there. Jessica Radke, 29, doesn't like to dance in public — or at least she thought she didn't until she met Lyngstad tonight. She says that even people who don't like country music should give this type of club a chance; the dancing is exciting. Leaving the building for the night, the drunk guy standing outside in the stars-and-stripes-forever cowboy hat tells the truth: "We're all just here for the chicks."